We've all had our share of great cakes, but if you want to spice things up a little, cake of the month clubs are a fun idea. The name really says it all. This type of club provides you with a cake each month. The companies that do this differ considerably from one another. Some just offer a single type of cake, perhaps varying the flavors from month-to-month. Others may have a larger variety or may provide other interesting features. By taking a look through this list of cake of the month clubs, you can see which one you're going to try first. Let's be honest – you'll go through the list and try them all at some point LOL. PS. If you have time, you probably want to check out our baking subscription boxes too, because you can get ingredients sent to you each month to bake some kind of interesting treat. PPS. The much loved cousin of cakes, cupcakes, also have their own list of cupcake of the month clubs. This subscription program sends you cake from a wide range of bakeries. The Goldbelly Monthly Cake Subscription is ideal if you're looking for variety. The club ships out cakes from the top bakeries around the nation. They also offer considerable variety in the types of cake that you receive. The selection can include red velvet, cheesecake, layered caramel, crispy cake and much more. The program costs $69 per month with free shipping. You need to commit to at least 3 months from the beginning. The price doesn't change based on your subscription, so pick the length that is right for you. Goldbelly offers some examples of the cakes that they have sent out in the past. They also mention that each month's box will serve between 8 and 12 people. Even so, what you get each month is a surprise (as it should be). Here's another program that focuses on cakes from different bakeries. Amazing Clubs is exceptional at combining products from many sources. Their Cake of the Month Club is no exception to the pattern. With it, the company sends out oven-fresh cakes. These rely on natural ingredients and come from bakeries throughout the United States. This time, the monthly box serves between 8 to 10 people. A newsletter called A Piece of Heaven is also included. This provides details about the featured cake, along with information about cakes in general. There is a previous selections page that can give you some idea of the cakes that are sent out. The subscription is considerably less expensive than the previous example, costing just $27.95 per month for most subscription lengths. This may decrease to $26.95 or $25.95 in some situations. 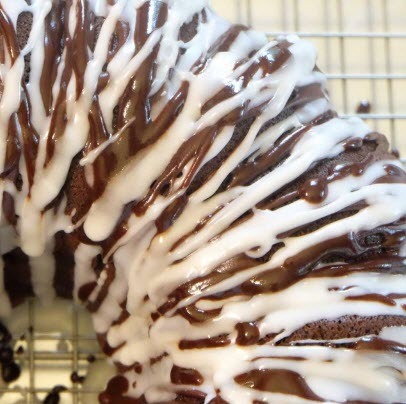 This unusual club provides you with a customized bundt cake each month. We Take the Cake follows a different style than the previous examples. The club ships out hand-made bundt cakes each month. These cakes are made using quality ingredients, with varying flavors each month. An even more interesting part is the customization. You are able to include a name and message along with the cake. This makes it an ideal gift. The site also provides a list (and descriptions) of the cakes for each month – showing you exactly what you can expect. You can subscribe for a 6-month or a 12-month version of the club. The 6-month costs $131.94 (plus shipping). This averages out to around $21.99 per cake. The 12-month is $239.40, giving an average of $19.95 per cake. This Italian club ships out a variety of cakes. Flying Noodle is another site that specializes in subscriptions. Their Cake of the Month Club is a fun version to try. The individual cakes are taste tested before being included in the club. The company also aims to provide a variety of styles, like coffee crumble, blueberry burst and tiramisu. Once again, you're receiving 8 to 10 servings of cake each month. A 3-month version of this subscription costs $27.95 per month, a 6-month is $26.95 per month and a 12-month is $25.95 per month. As always, you'll need to pay each subscription in full when ordering. There is no month-to-month ordering option for this company. While this company produces a seasonal cake each month, they don't have a subscription program. Daisy Cakes has an unusual Cake of the Month program. More specifically, the company doesn't have a program at all. Instead, they simply produce a new cake of the month each month. These are for sale individually on their site. 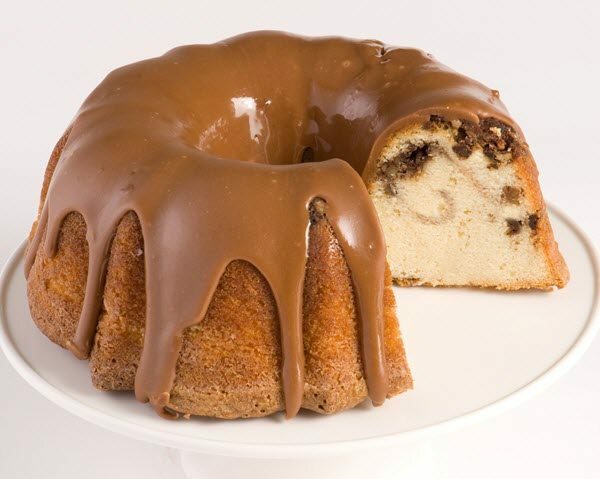 For example, the January cake is a Banana Walnut Pound cake for $49.95. The February cake will be a Strawberry and White Chocolate Cake, while the July one will be a Carolina Kiss Chocolate and Coconut Cake. Because there is no specific program, you do need to manually order the cakes each month. This isn't really a bad thing. It gives you the chance to pick and choose which cakes you want. You also get to know the flavor (and cake type) ahead of time. Despite the name, Superior Nut Company does have a cake club. 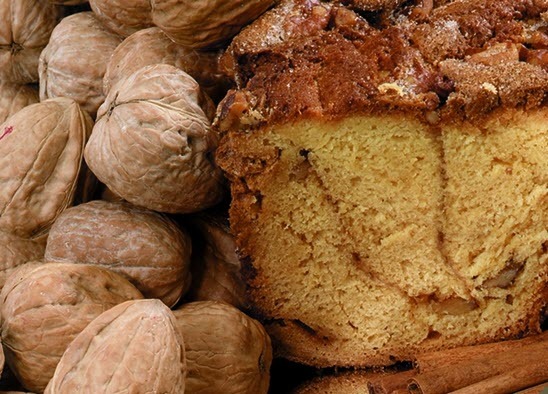 You mightn't expect it, but the Superior Nut Company has a 3-month, 6-month and 9-month Cake of the Month Club. 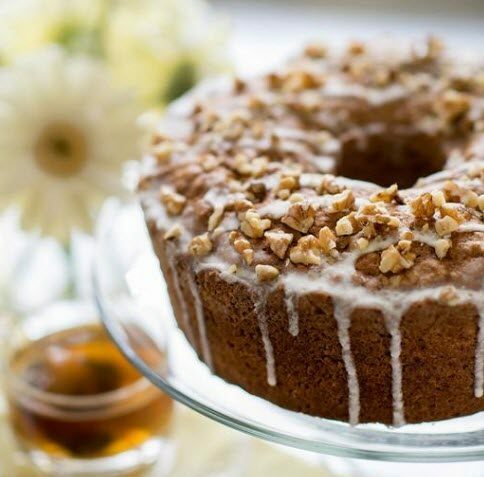 The club provides you with an 8-inch coffee cake each month, which can serve 8 to 12 people. The company has 9 types of coffee cake. You receive a different flavor each month. This should mean that you get to try out all the flavors on a 9-month subscription. The subscription is priced at $64.95 for the 3-month version, $159.70 for the 6-month version and $206.55 for the 9-month version. These all have free shipping, so you're just paying the listed price. Here's another cake club that focuses on coffee cake. Coffee cake seems to be a popular style, perhaps because it ships well. Pemberton Farms has another coffee cake subscription that you can try. It offers a 3, 6, 9 or 12 month club, for $119.95, $229.95, $339.95 and $449.95, respectively. Unlike most clubs, there is little information about what you receive. Pemberton Farms states that the cakes are baked with the freshest ingredients, but there are no details about flavors or even the shipment date. 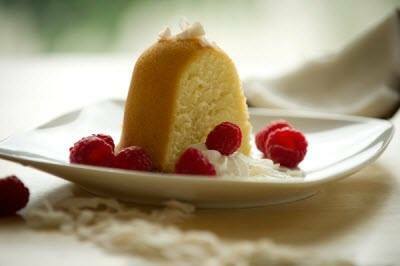 This pound cake club is another style that you can try out. Stonehouse Bakery offers a Pound Cake of the Month Club. These are baked specially each month. The cake flavors are decided in advance. You can see a full list of the flavors on their site. For example, the cake for August will be peach melba, while the cake for May will be lime-glazed. The club works especially well as a gift. This is partly because you pre-pay for 3, 6 or 12 months. You're also able to include a personalized message with the shipments. This club is relatively inexpensive compared to other options. You're paying $50 for 3 months, $100 for 6 months and $200 for 12 months. This UK-based company has multiple subscription options. The Cake Tasting Club is unusual because they're not shipping out full cakes. Instead, the club provides boxes that contain portions of baked products. Cakes are an item that features in those boxes. Their first subscription version is Cake for One. This provides 2 small baked portions and starts at £8.00 per month. Your next choice is The Classic Box. It contains 1 cake portion, 2 brownies and/or bars, along with some cookies. The price starts at £15.00 per month. Your final option is The Family Box. It is twice the size of The Classic Box and costs £26.50 per month. The stated prices are for month-to-month ordering. You can also pre-pay for subscriptions. In each case, pre-paying will decrease the monthly price. This is another service that has an emphasis on pound cakes. The subscription from Luscious Little Desserts is ideal if you love pound cakes. It provides you with a Southern pound cake every month. The flavor varies between months. There is often a festive and/or seasonal focus. An unusual feature is the cake sizes. Luscious Little Desserts has 2 options to choose from. 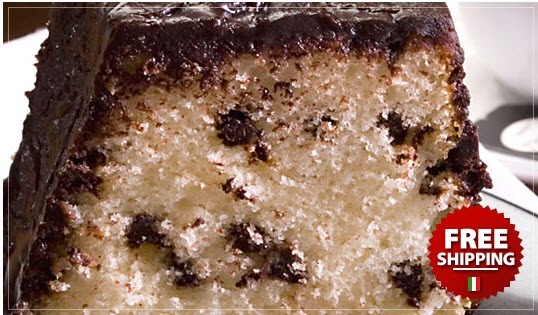 A medium cake will serve 8 to 10 people, while a large cake serves 16 to 20. The price depends on the cake size and length of subscription. For the 3-month version, you're paying $125 for the medium cake and $171 for the large cake. This goes up to $468 for a 12-month medium cake subscription and $664 for a 12-month large cake version. Here's another UK-based subscription. This time, it provides fruitcakes. 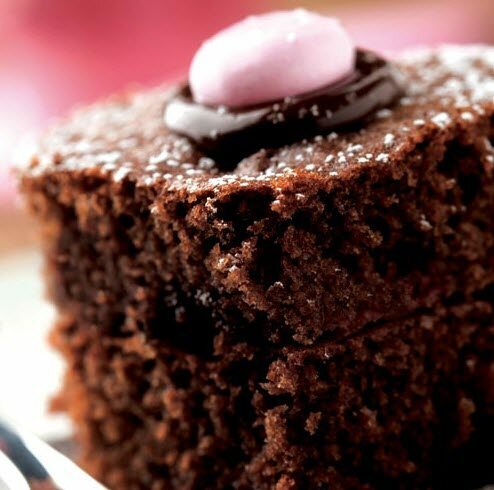 Tipple Tales doesn't offer freshly baked cakes like most other companies on this list. They have a Monthly Fruit Cake Subscription instead. This lasts for 4 months and sends out a fruitcake in a tin each month. The subscription duration is unusual, but it has a purpose. 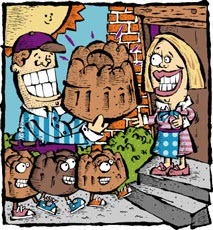 The Tipple Tales brand sells 4 different fruitcakes. Their subscription club acts as an easy way to send these cakes out to friends or family. You're simply paying £65 for the 4 months. There are no other subscription options and no way to influence which flavors you receive. This club can provide you with alcohol-infused cakes. The products from Red Shoe Cakes are fun for alcohol lovers. 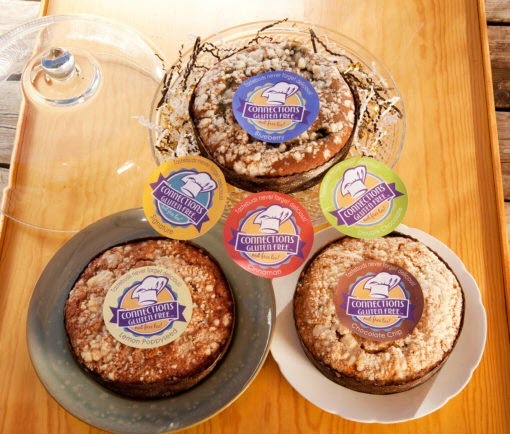 The company provides ‘caketails’, which are cakes that have alcohol in the batter and basted onto the cake. You can also choose the Pink Slippers variation, which focuses on great cake flavors that do not include any alcohol. There are 2 subscription lengths for each type. A 6-month membership will cost you $200 for the Red Shoe Caketales and $114 for the Pink Slippers. A 12-month version comes to $360 for the Caketails and $204 for the Pink Slippers. You can also pay an extra $5 per month to get better flavors. One limitation is shipping. You need to pick up the cakes in Long Beach or pay an extra $15 per month to have your subscription shipped to you. Even then, the company only ships within a 20-mile radius. This subscription contains smaller cakes than most. 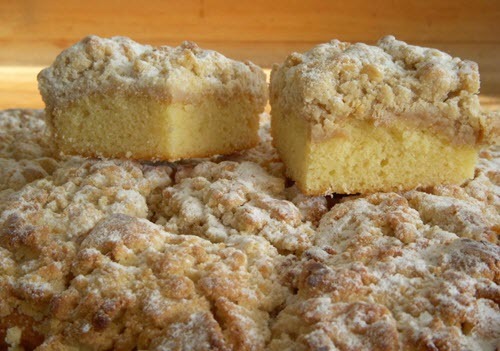 The Coffee Cake Club from Zingerman's is an interesting choice if you don't want too much cake. The included cakes are smaller than other options, containing just 5 to 7 servings each. Your subscription also comes in a gift box, making it a simple present for family or friends. The club follows a familiar style, with a 3, 6 and 12 month version. 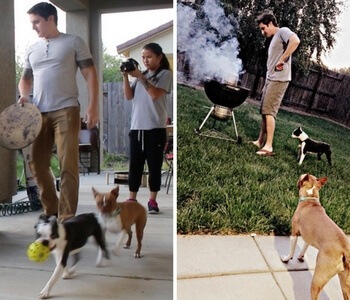 Those cost $120, $230 and $450, respectively. Zingerman's follows a set flavor pattern for their subscriptions. Regardless of when you sign up, your first box will contain a Sour Cream Coffee Cake. Your second will have a Gingerbread Coffee Cake. You can see the full list of cakes on their site. This monthly club provides layer cakes, which is an unusual style for a subscription club. 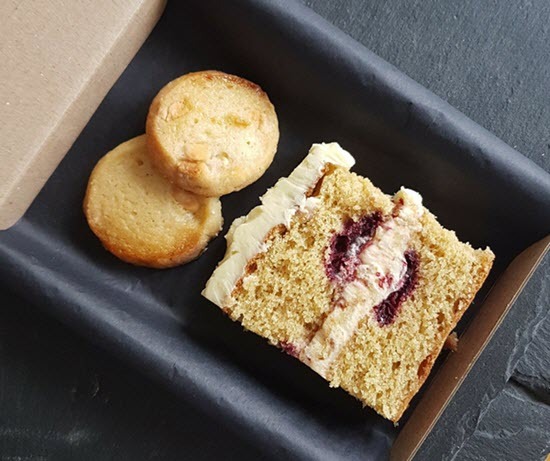 While coffee cakes and bundt cakes are common among subscription programs, Janet's Cakes and Catering takes a different approach. 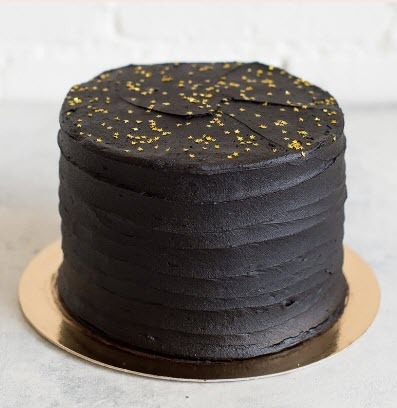 Their subscription provides you with a 6-inch round layer cake each month (2 layers). The catch is that this club is pick up only. This means that it is only a good option for people who live in Bloomington, Illinois, where the store is located. If you do live locally, you can order a 3-month subscription for $45, a 6-month subscription for $84 or a 12-month subscription for $150. An unusual aspect is that you can choose the months for the 3-month and 6-month versions. The months you select might not even be consecutive. Details for this crumb cake club are very limited. Mallon's Sticky Buns offers a Crumb Cake of the Month Club, which sounds like it should be amazing. The club ships out either a 12-piece or a 24-piece crumb cake for a 3-month, 6-month or 12-month subscription. Unfortunately, that's all the information the site provides. There are no details about the flavors or the date of shipment. Pricing information is missing too. You have to call up the company if you want to learn more or if you plan to sign up. This club is ideal for anyone avoiding gluten. As the name suggests, Connections Gluten Free focuses on gluten free products. This includes their Cake of the Month Club. The club has a 3-month subscription only, which costs $70 for that period. 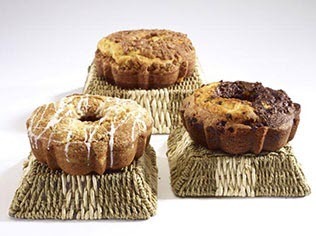 The shipped cakes are coffee cakes, in a buttermilk bundt style. Connections Gluten Free features a different flavor each month, so you're not likely to get bored. The cakes are large enough to serve 8 to 10 people. One unusual feature is that the cakes are shipped to you frozen, rather than fresh. Information on the website states that warming the cake will create a ‘fresh from the oven’ experience. Even so, most other companies provide fresh cakes instead. This cake club is designed for offices rather than households. The subscription from Chatty Cupcakes is interesting. The idea is that the company sends out a cake to your office every month – right to the office door. You're able to select the frosting and the flavor of the cake. You can personalize with a name or a company logo and there are even paper plates and related items sent with it. The style is pretty cool and very unusual. Even so, you'd need to contact the company for further details. Their website doesn't provide any pricing information. There isn't even a button to order. This is another club where you'll need to contact the company directly. Zell's Cottage Bakery offers a Signature Cake Club. The club provides 6-inch decorated cake every month. You can find a list of the cakes for each month on their website. Examples include Chocolate Covered Strawberry Cake, Peach Cobbler, Chocolate Irish Cream and Red Velvet Cake. Membership to the club costs $72 for 3 months, $132 for 6 months or $216 for 12 months. You need to call the company directly to place an order. Zell's Cottage Bakery doesn't provide any details about shipping. Still, some of the cakes provided are layer cakes. This suggests that the club is probably pick up only, from their store in Gainesville, Georgia.